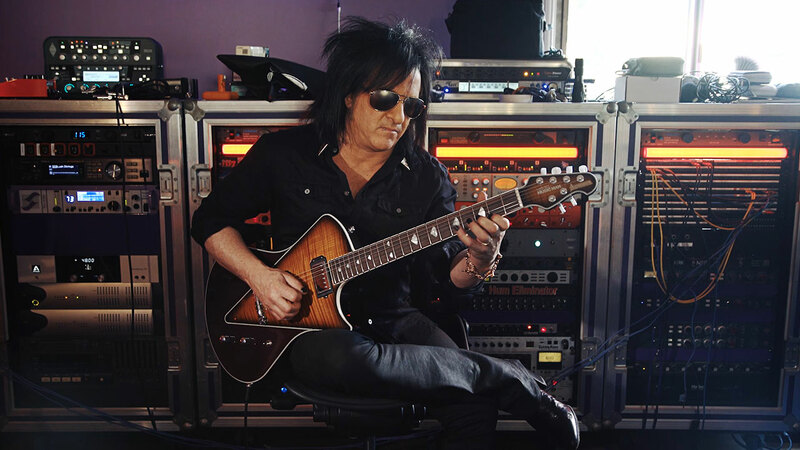 Steve Stevens has led a long and storied career playing in the studio and on tour for Billy Idol, along with other music greats like Michael Jackson, Vince Neil, and collaborated with virtuosos Tony Levin and Terry Bozzio. You might not know that he also played on the iconic Top Gun Theme. He invited us into his home studio to wax poetic and talk about his personal relationship with the guitar on an episode of Ernie Ball: String Theory. Here are the top six things we learned during the episode, along with a timestamp for each segment so you can follow along. Watch every episode of Ernie Ball: String Theory at our website, featuring such players as Kirk Hammett, Steve Vai, Don Felder and more. You can also enjoy some of Steve’s most popular songs in this Spotify playlist. Steve Stevens plays Ernie Ball M-Steel guitar strings. Do you? Try a set.